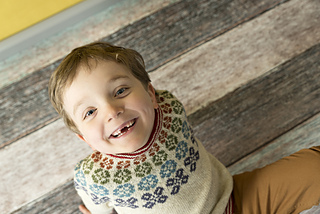 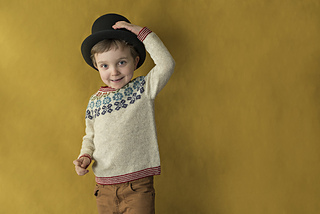 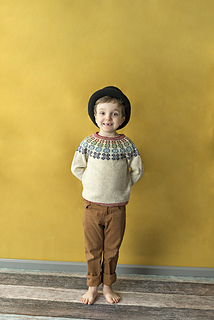 Most kids prefer simple, lovely and practical sweaters - this also goes for circus kids. 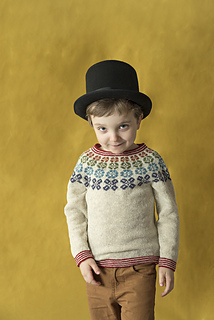 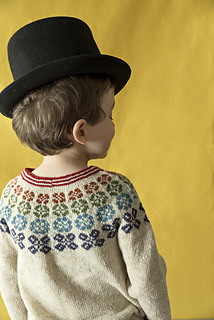 Sirkusbarnas hverdagsgenser simply means The circus kids’ everyday sweater. 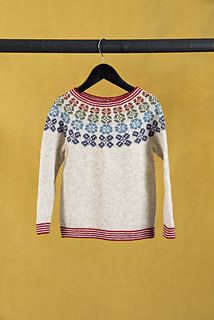 It is a round yoke sweater with a floral stranded pattern in the yoke. 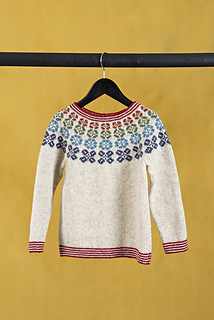 Worked in a thin wool yarn, this is the perfect sweater for most occasions. 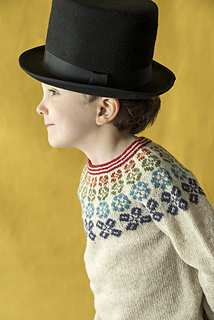 The pattern includes a blank diagram in black and white, encouraging you to play around with colours and assemble the perfect combination for the yoke. 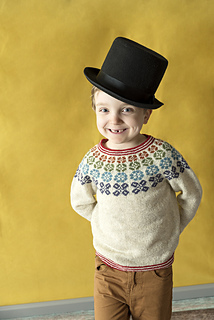 We are very proud to present our first issue in English and feel like giving all customers an extra gift to express our joy.